Going on a night out for the first time in three weeks. It was only with a small group but I made it through the whole night and didn't go home early, and had a really great time! Ticking a lot of things off my to-do lists. I've been writing one nearly every day 'cos I have so much to remember at the moment and it feels so good to cross lots off. ASOS sale! I'm a poor student but I bought Hello Kitty tights (omg omg the excitement for these to arrive!) and some over the knee socks. A quick decision to go home and stay with the fam. It's been a hectic week and I've had no time to myself and I really needed that peace and quiet and alone time that I can get while I'm here. It's also the best to see my family, and get to see my little sister before she went to Venice yesterday! 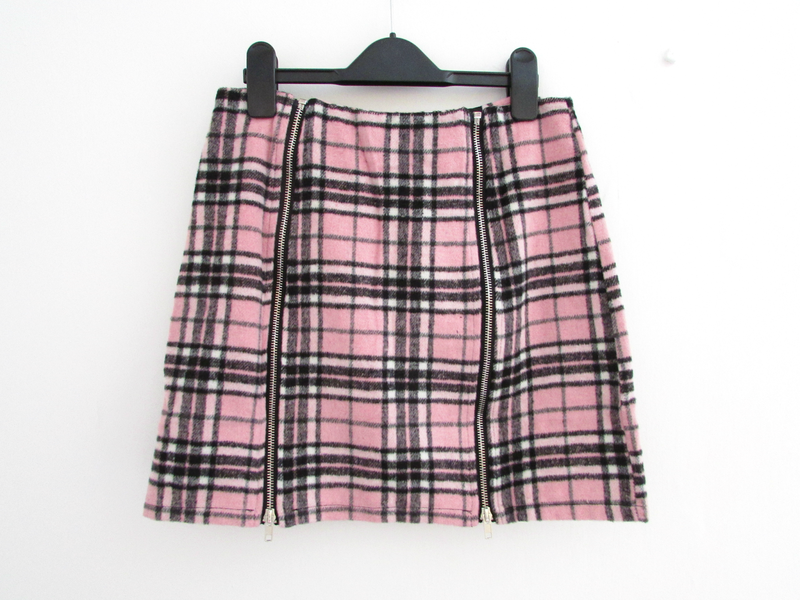 A pink Clueless inspired checked skirt waiting for me at home. My sister bought it but it didn't fit her, so she got another size and kept the other one for me to have! Yaaay we can match! (She really won't be happy if I wear it at the same time she does hehe). And new patterned tights waiting for me at home! I think my fam got a bit over excited about me coming to visit, I feel spoiled! Mam bringing me up a cup of tea in the morning :) I always make my own, obviously, but at home my lovely mama always brings me up a cup to wake me up. Oh my god. I love this skirt. I used to have one so similar but I grew out of it. Worst thing ever!!! I love it. Where is it from? I make lists too and it's awesome scratching this off of it. I can't wait to see the hello kitty tights!